Juan joined Farrell & Associates in 2013 and brings 18 years of litigation experience to the F&A team. Juan has a reputation for his straightforward style of litigation and his aggressive representation of F&A clients. Juan’s courtroom skills are top notch, and his winning track record is built upon years of courtroom experience and his deep knowledge of litigation strategy and Family Law. Juan served as a law clerk for both the Senior Family Court Judge and then for the Lead Judge – Family Court, Criminal Division. 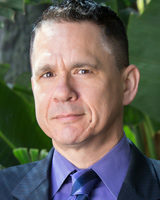 In 2002, he was appointed as a Deputy Prosecutor for the City and County of Honolulu where he prosecuted over 500 cases and represented the State of Hawaii in over 50 jury trial cases, two of which became published appellate cases – State v. Asuncion and State v. Keawe. Juan honed his litigation skills further as a corporate litigator at Fukunaga Matayoshi Hershey and Ching, where he specialized in tort defense, products liability and landlord-tenant matters. Juan is a member of the Judge Advocate General (JAG) Corps assigned to the United States Army Reserve and currently holds the rank of Major. He deployed to Iraq in 2006-2007 and has served as Senior Defense Counsel in the U.S. Army Trial Defense Service, where he represented soldiers facing courts-martial, administrative separation, and non-judicial punishment. As a Trial Defense Counsel, Juan has successfully defended over 100 cases. In 2013, the Chief Justice of the State of Hawaii appointed Juan a per diem Judge in the District Court where he presides over misdemeanor criminal matters, traffic, small claims court, regular claims court, civil restraining orders and landlord tenant matters. When Juan is not lawyering or soldiering, you can find him hiking with his two children and training to beat his last marathon time. Farrell & Associates is a family law firm serving all Hawaii. Our attorneys handle contested and uncontested divorce, paternity, restraining orders, child abuse, adoption, guardianships and family court criminal cases. Tom Farrell also represents servicemembers, civilian employees and contractors facing revocation of security clearances. F&A lawyers walk into the courtroom with a reputation for honesty and a complete knowledge of Hawaii family law. Call us today for a free and confidential consultation.